As the well-known, dramatic story unfolds, “Humpty Dumpty sat on the wall, Humpty Dumpty had a great fall. All the king’s horses, and all the king’s men, couldn’t put Humpty Dumpty together again.” Coincidentally, this nursery rhyme has me thinking about an important leadership issue. During this Independence Day season, I’m concerned that our freedom is being threatened. Now is the time for honorable patriots to speak up and do our part on this issue. We must take a stand for civility in our culture, and it’s a basic responsibility as fellow colleagues and citizens. What is Civility and why is it important? The word “civil” ties back to the Latin word for citizen, and the core meaning is the idea of people living together as a society under a government. The other well-known and related definition of the word civil is being courteous, respectful and considerate of others. To have and maintain freedom requires a degree of civility and tolerance for each other. Just over fifty years ago Dr. Martin Luther King set the standard for civility when debating highly contested issues. Out of that era, our society learned a lot about respectful tolerance for others—it has been a foundational ethos over the past 30 years in the issues of race, gender, and religion, and it’s made us a better nation because of it. We had our differences in the past, but there was a general attitude of civility in debating them. Today though, the tragic change is tolerance for being intolerant of others who have different ideas and views. From my past work in human behavior and performance, I know that emotions are contagious. Positive emotions give positive energy and make it easy to live and work together. Negative emotions bring negative energy and make it difficult to work together. We all know this principle from time spent with our work teams as well as relationships with family and friends. And the same thing applies to our culture. Now we’re seeing intolerant and rude conversation on a mass scale. Some media outlets and politicians ignore the boundaries of civility, aggressively promoting disrespectful personal attacks on others who don’t share their views on politics or social issues. And social media has provided a layer of protection, allowing individuals to lash out in vicious ways at people they don’t even know. These actions aren’t illegal, but they are certainly anti-social and attack the civility needed to maintain a free society where we can live and work together. A recent Rasmussen Poll showed that “thirty-one percent (31%) of U.S. voters say it’s ‘Likely’ that the United States will experience a second civil war sometime in the next five years, with 11 percent saying it’s ‘Very Likely.’[i]” This poll seems to confirm what I’m feeling—that we’re crashing over the boundaries needed in a civil society. This is the bone-chilling Communist manifesto that we experienced in the POW camps, so I’m highly sensitive to this type of attack on freedom and independence. This abandonment of truth and civility can happen in our American culture, a business boardroom, a dysfunctional family relationship, or a dispute with a neighbor. No one can escape it, but we have an opportunity to do our part in arresting it. If you’re agreeing with this article, then you’re part of the tribe that has decided to live and lead with honor! Regardless of your personal and professional perspectives or your allegiance to your like-minded group of people, you know that the true essence of influence and courage is taking a stand in a civil way regardless if that civility is returned in kind. For more on this challenge, see my coaching video this month and hear my personal story. Guard your own character first. Avoid using uncivil tactics to advance your arguments. Be direct and honest, but keep strong boundaries on your words and actions. Set an example of someone who can disagree politely and factually with those with whom you disagree. Speak up when you experience the intolerance of others, those who resort to negative name-calling that is hateful and viscous. Consider how we can respectfully not tolerate those who use incivility as a weapon to advance their ideology. 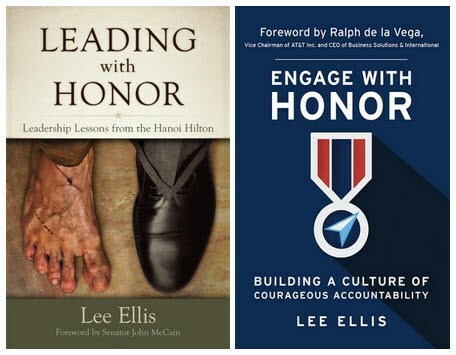 Get a free copy of the Honor Code and share it with others. Pay special attention to Articles 2, 6, and 7. 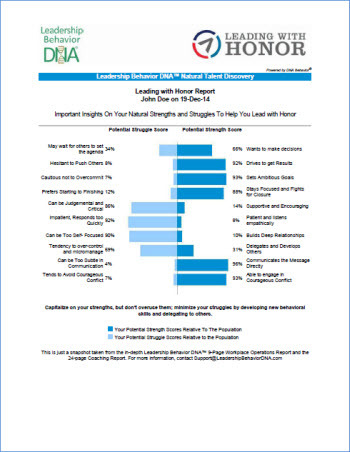 Everyday, Leading with Honor helps clients break away from old barriers, learn new skills, and free people to work with more passion, energy, and productivity. Learn More in the Training section of our website, see our client list, and more. Contact Us to request a custom proposal.